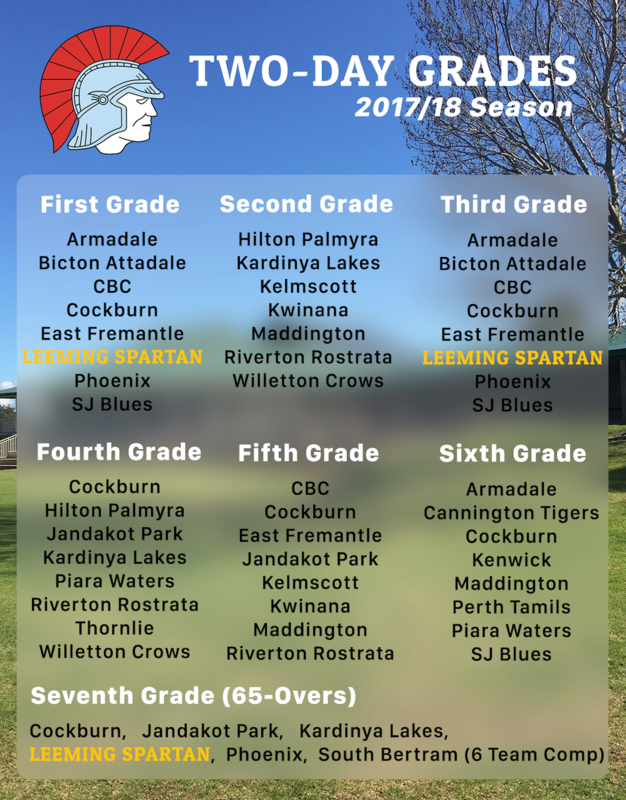 You always know the season isn’t far away when the gradings are released, and you can check out the complete list of teams and their respective grades for this upcoming 2017/18 season below, with the Leeming Spartan Cricket Club’s grades highlighted for ease of reference. Incredibly, the season is now only one week away, with our three two-day sides playing their first game (a 40-over one-day match) on Saturday October 7th. It is currently unknown whether this first game will follow the precedent set in recent seasons, where the first match starts half an hour earlier at 12:30pm because of an earlier sunset. Regardless, those playing next Saturday should have well and truly arrived by then and be raring to go! Following the game’s completion, be sure to head back to the Spartan clubhouse – the and will be open, dinners will be available, and awards and presentations will be given! The best player of the round in each grade will receive a great prize! Check out our two-day grades below, and read on for some insight into the year ahead! As you can see, we’ve received First, Third, and Seventh Grade, our top side looking to go one better this season after finishing runners up in 2016/17. Our thirds look to be the strongest they’ve been in over a decade, with some excellent recruiting bolstering all grades, and we are most certainly looking at playing finals in all our two-day divisions. Our twos have gone from having nine in the side in the last game of the previous season (which we won against Armadale), to having one of the strongest elevens going – with President Coombsy and team having done a mountain of work over the last three months that allows us to comfortably say that our Third Grade will rival some of the First Grade opposition teams this summer. Whether all the good work comes to fruition in the form of playing results remains to be seen of course, as you are obviously never any guarantee of victory, but we know with certainty that the teams that take to the field each week – not just in our thirds, but in all grades – will be the strongest on paper that we’ve seen in some years. Interestingly, the South Metropolitan Cricket Association have only seven teams competing in the second grade, a strange choice seeing as it is meant to be the second strongest grade in the competition, and that the winner will be promoted in the top division the following year. This has created the added effect of having a bye round in that grade, and it will be interesting to see what effect, if any, this has on the momentum of teams. Our third side has been allocated a Seventh Grade spot, which is somewhat unfortunate for the Spartans in that this is only a six a side competition, meaning the grade only plays five two-day matches (excluding finals), which are only 65-overs at that. It goes without saying that we completely understand and appreciate the efforts that go in to organising so many clubs, teams and divisions, and overall we think that the Association has done an exceptional job, but at the same time, it is certainly disappointing for a two-day grade to play such little two-day cricket. Nevertheless, it is up to our boys to make the most of it and compete with the same passion and integrity that saw our threes win a Premiership just two years ago. This Seventh Grade positioning actually represents a back-to-back demotion of this side since our Premiership victory in the SMCA 5th Grade in 2015, and whilst our performances in sixth grade last year left much to be desired and little argument as to our demotion one step further into the Seventh Grade this season, we will be doing all we can to take out the competition, and get the Spartans back to the grade where we have had so much success over the last decade. We’ve also reduced the number of two-day sides we’ve nominated this season, from four sides last year (1st/3rd/6th/7th) to three, which we believe will have a profound effect on our competitiveness and strength in all these divisions. 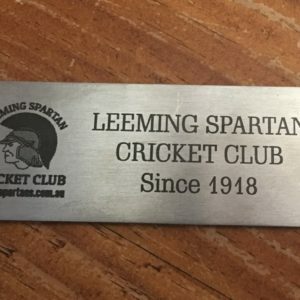 We haven’t mentioned too much about our First Grade here because we have a full preview coming in the next week, but rest assured that this side is going to be the envy of the competition, and it is a credit to those involved, namely Coombsy, Ippo, PK, Toddy, Doddsy, Milts, Nick and more, for their extreme efforts in the Spartan recruitment this off-season. 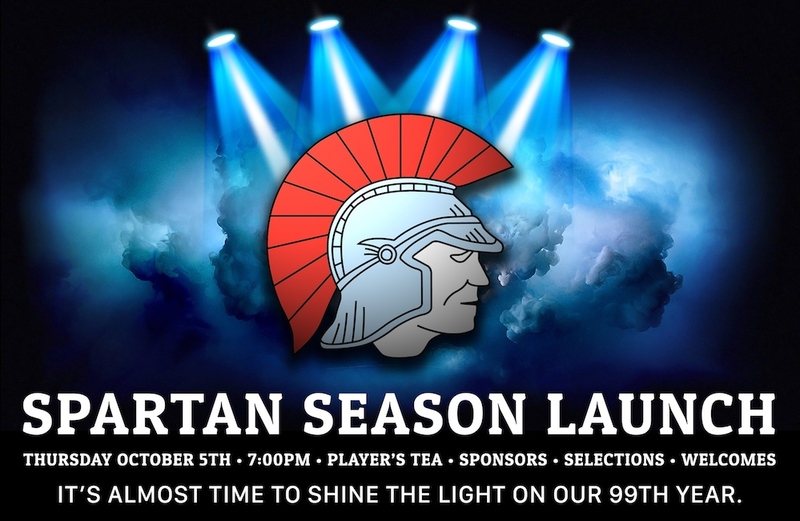 It certainly all bodes well for what is an exciting 99th year for the Leeming Spartan Cricket Club, and we look forward to all Spartans seeing first hand the successes that result from the great efforts that have gone into ensuring that the Club enters the 2017/18 season in such great stead! Stay tuned for the release of our one-day grades and be sure to drop by all throughout the next week, especially on our 2017 Season Launch on Thursday October 5th! 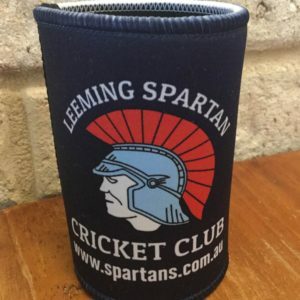 The opinions expressed here are the views of the writer and do not necessarily reflect the views and opinions of the Leeming Spartan Cricket Club.